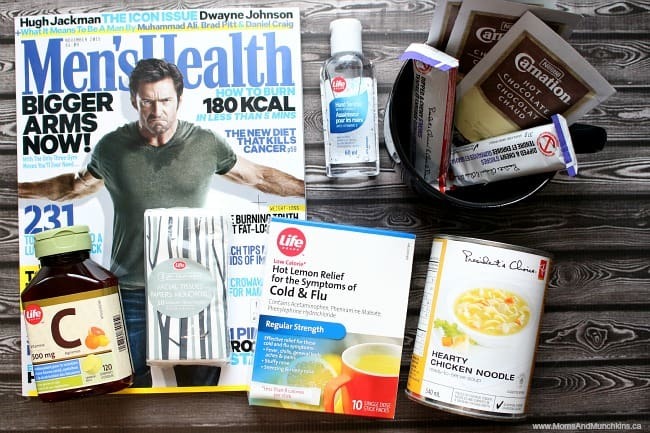 Do you have any sick day routines? When I’m not feeling well, I like staying at home in my pyjamas and watching movies in bed. The less I have to get up, the better! Being a busy work-at-home mom, those lazy days in bed aren’t often possible. With a family to take care of & work to do, I want to take steps to prevent getting sick. Moms just don’t have time for sick days! Washing hands often & carrying hand sanitizer to use when a sink isn’t available. Taking care of yourself with regular exercise and healthy eating. Getting your flu shot – you can get your vaccination at your local Shopper’s Drug Mart Pharmacy without an appointment. Disinfecting surfaces regularly like desks, doorknobs, and other surfaces. When a friend gets sick, we often want to help but aren’t sure what to do. You could make meals & drop them off to your friend’s house. You could offer to pick your friend’s kids up from school or watch the kids while your friend gets some rest. You could also make them a Get Well Soon Basket filled with items to help them feel better & beat the boredom that often comes from spending too many days inside the house. pain relievers like medication, heating pad, ice pack, etc. 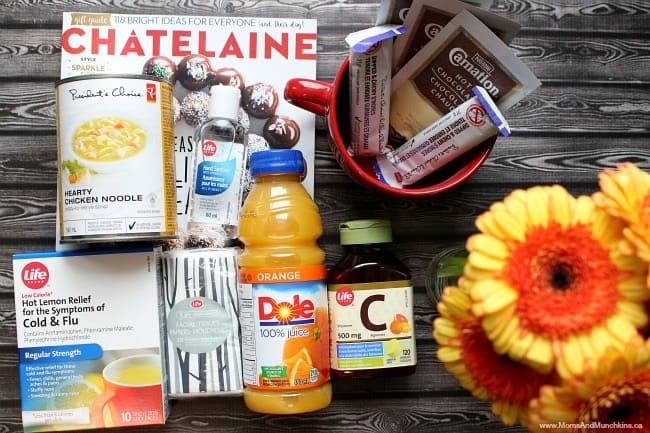 You can find almost everything you need for a Get Well Soon Basket at your local Shopper’s Drug Mart. We also have free printable Get Well Soon cards that you can print, sign and attach to your basket. 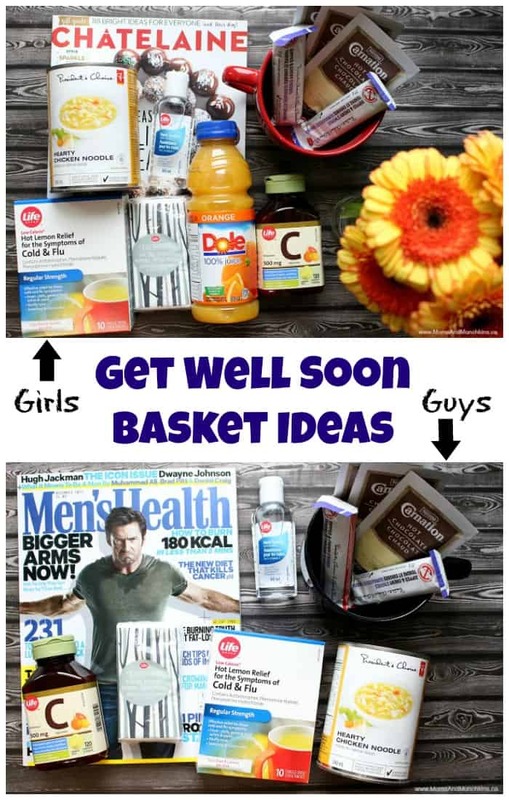 What are some of your best Get Well Soon basket ideas?